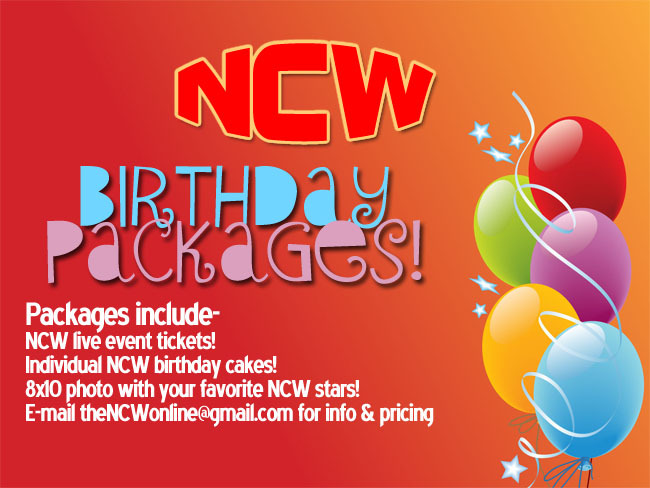 Welcome to our new home for Northeast Championship Wrestling on the web– http://thencw.com! In light of the recent technical issues with our old home http://thencwonline.com over the last two and a half months, NCW officials have decided that it was time to move things over to a new site and server after much deliberation. With a fresh start in mind, we’ve also decided to take advantage of a new domain name as well. First and foremost we would like to take a moment and thank Rob Logan for his years of assistance as the unofficial web guru for NCW, and allowing us to piggyback off of his server and hosting site. We will continue to support Rob as he continues with The Geek Generation, a pop culture grab bag that has been growing leaps and bounds over the last year. We’ll be working on this site over the next couple of weeks as begin to transfer files over to the best of our ability. 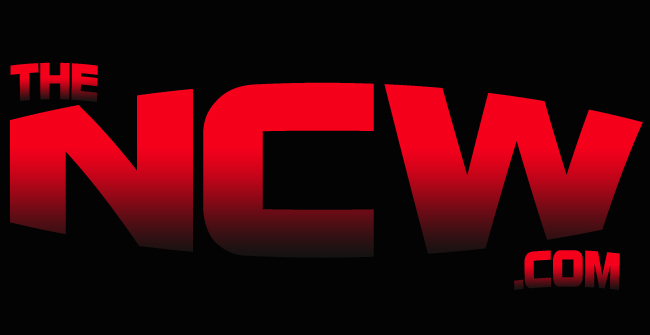 Any comments or suggestions on what you’d like to see on NCW’s new home would also be greatly appreciated, and finally if anyone is interested in becoming a contributor for theNCW.com please e-mail thencwonline@gmail.com for more details! 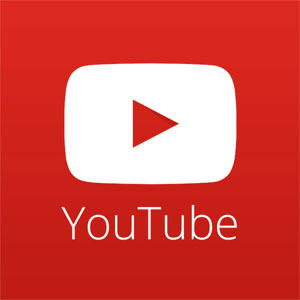 The NCW Dot Com from NCW Wrestling on Vimeo. On Friday night September 21st Northeast Championship Wrestling returns to the American Legion Post #10 in Riverside, RI [830 Willett Avenue] for the FALLOUT from last month’s chaotic Big City Rumble event at the West Warwick Elks Lodge. In one of the biggest upsets in NCW history Steve “The Turtle” Weiner eliminated “Simply the Best” GA West to win the 2012 Big City Rumble, guaranteeing him his first opportunity ever for the NCW Heavyweight Championship. Following his victory “The Turtle” pleaded with Commissioner Dean “The Beast” Livsley, asking the Commissioner to move his title match from the end of the 2012 Season to September 21st, the night of his birthday celebration. Livsley agreed, setting the stage for the most important match of Weiner’s career when NCW returns to Riverside for FALLOUT. Doors open at 7:30 with an 8pm scheduled bell time. Tickets will be available at the door for $10 for adults, with kids twelve and under only $5! The American Legion Post #10 is located at 830 Willett Avenue in Riverside, RI directly on route 103. For more details on FALLOUT and all of our upcoming shows be sure to check out our Upcoming Event section and for up to date information on NCW like us on Facebook at www.facebook.com/NCWwrestling. Can Steve “The Turtle” Weiner make it count? Since making his first appearance in NCW back in 2005 as a ring announcer, Steve Weiner has been one of the most colorful characters to ever grace an NCW ring. Trained by “Brutal” Bob Evans at Slamtech University, Weiner has made a career out of defying expectations of those who didn’t think he had what it would take to ‘make it’ in the wrestling world. Becoming one of New England’s most popular competitors Weiner has amassed an impressive resume having won the EPW [Eastern Pro Wrestling] Tag Team Championship with his little buddy Rob the Giant, becoming a part of CHIKARA as a competitor and color commentator for the promotion, winning the NCW 2010 Season Cup against all odds, started teaming with his best friend and Slamtech alumni “Dynamite” Doug Summers, and the biggest win yet—eliminating “Simply the Best” GA West to win the 2012 Big City Rumble to earn his first ever Heavyweight Championship Match. One of those who never thought Steve would make it is the two time NCW Heavyweight Champion Buddy Romano, a man who’s dismissed Steve at every turn. What Romano tries to forget however is that Weiner has a pinfall victory over Buddy, pinning him in the very same building where the NCW Championship will be defended September 21st. Can luck strike twice for the Big City Rumble winner? Never receiving their original Tag Team Championship Match back in March due to Zero Tolerance attacking Triplelicious, the tandem of “The Barrington Bulldozer” John Munroe & the four time former NCW Champion Triplelicious haven’t complained about their lack of title opportunities since then, they’ve just been crushing the competition and waiting for their next chance. That chance will come on September 21st when NCW returns to Riverside as the champions Todd Sople & Gunar Rowe defend their titles against the #1 contenders. The Unequaled Destroyers have had a tough time since defeating DUI for the championship at NCW’s 15 year REUNION, but have still managed to retain their titles at every turn. At FALLOUT, their biggest challenge yet awaits. With the knowledge that former friends and tag team partners Rob the Giant and Kevin Perry [the former Cordeiro] will be forced to team up September 28th at NCW Total Elimination in the Total Elimination Series, it’s suspect that Commissioner Dean “The Beast” Livsley would approve this match-up which will pit both Zero Tolerance members against the Giant. No one should underestimate the New England Champion Mike Paiva and his devious plans, even Commissioner Livsley. It was all in good fun when “The Juice” JT Dunn assisted referee Anthony Greene in defeating “The Maniacal” Jack Krueger at NCW Summer Meltdown in July, giving Greene a victory in his first NCW wrestling match. It was all in good fun when Dunn chose AG to join Team Juicy at the Big City Rumble, where they would team up with the Lumberjake and “The RIOT” Kellan Thomas to defeat Zero Tolerance in an 8 Man Elimination Match. But when a battered and beaten Buddy Romano placed a bounty on JT’s head for the Rumble, a vengeful Krueger took his opportunity to exact revenge on Dunn, eliminating him from the Rumble and taking away his opportunity for the NCW Championship. Before Krueger could celebrate however, young Anthony Greene once again got the better of “The Maniacal One”, tossing HIM out of the Rumble Match. At FALLOUT all scores will be settled when Commissioner Livsley gives AG one more chance in the ring, teaming up with his mentor JT Dunn to take on the warped duo of Jack Krueger and “The Twisted Hatter” Alex Creed. After eliminating each other from the 2012 Big City Rumble in brutal fashion, Riverside will see the first ever one on one encounter between these two former tag team specialists at FALLOUT when “The RIOT” Kellan Thomas goes up against the two time former NCW New England Champion Scotty “By GOD” Vegas. With the stakes of bragging rights set high, whoever comes out on top in this match will be positioned even better heading into the Total Elimination Series September 28th in Dedham. Looking to clear the air and put all their issues on the table for the sake of Zero Tolerance and their relationship, JC Marxxx has asked his adopted son David Marxxx-Loomis to come to Riverside on the 21st, hoping to patch up the issues David’s had with Zero Tolerance since Buddy Romano screwed him out of the NCW Championship in June. Can JC manage to talk some “sense” into Loomis? Or has he finally had enough of being left out of the title picture after walking out on Buddy Romano at the Big City Rumble. We’ll find out at FALLOUT. PLUS the NCW 2011 Rookie of the Year the Lumberjake, NCW Commissioner Dean “The Beast” Livsley, Michael Tootsie Esquire, “The Portuguese Sensation” Ruy Batello, Eddie Loomis, Pacifico, Big Bully Rezner, & more! Northeast Championship Wrestling returned to the Elks Lodge in West Warwick, RI for the 2012 Big City Rumble, the tenth Rumble event in NCW’s fifteen year history. – Pacifico w/ Big Bully Rezner d. “The Portuguese Sensation” Ruy Batello with a rollup after Batello was distracted by Rezner. Following the match Bully and Pacifico continued to assault “The Portuguese Sensation”, with Rezner nailing two bully bombs on Batello. – Scotty “By GOD” Vegas d. Eddie Loomis via knock out after Vegas used ‘the Portuguese flotation’ buy ratello on Loomis while the referee’s back was turned. – Triplelicious & “The Barrington Bulldozer” John Munroe d. Michael Tootsie Esquire & Christopher James in tag team action, finishing both guys in tandem with a powerbomb/chokeslam double team. – “Simply the Best” GA West d. Rob the Giant. Following the match West proclaimed that he would be winning the 2012 Big City Rumble, and that nothing would get in his way. – NCW Tag Team Champions the Unequaled Destroyers d. The Super Rad via disqualification to retain the NCW Tag Team Championship when Steve “The Turtle” Weiner shoved referee Redd Roche to the mat as Weiner went to save Doug Summers from being attacked by Gunar Rowe, who had take Doug’s trusty wrench from him. An ecstatic Todd Sople & Rowe left ringside with their tag team titles, while a frustrated Summers berated Weiner. – After a brief intermission, the video screen began playing footage from NCW Summer MELTDOWN and “The Maniacal” Jack Krueger’s loss to referee Anthony Greene. The footage was quickly cut off, and Krueger and his protege Alex Creed made their way to the ring. Krueger informed everyone that no one would ever see that footage again while then scolding “The Twisted Hatter” for dropping the ball in Foxboro, losing to “The Juice” JT Dunn. Creed questioned Krueger, stating that he lost to a former Heavyweight Champion while Jack lost to a referee. Infuriated, “The Maniacal One” assaulted his charge, laying him out with a DDT. – Team Juicy d. Zero Tolerance in an 8 man tag team elimination match, with “The Juice” JT Dunn defeating Buddy Romano to be the sole survivor after David Marxxx-Loomis tossed Romano back into the ring. “The Heater” Kevin Perry eliminated by AG after Dunn knocked out Perry. Anthony Greene by David Marxxx-Loomis with his backdriver suplex. The Lumberjake by David Marxxx-Loomis after Lumberjake knocked himself out with a urinage. “The Original Showoff” Mike Paiva by “The RIOT” Kellan Thomas. “The RIOT” Kellan Thomas by David Marxxx-Loomis. David Marxxx-Loomis was eliminated via count out after walking out on Zero Tolerance. Buddy Romano by “The Juice” JT Dunn after a roaring elbow to the back of Romano’s. – Following the match JC Marxxx helped Romano back to his feet, and told JT Dunn to savor his victory because after tonight he’d never get another shot at the NCW Heavyweight Champion. Marxxx then put a bounty on JT’s head for the Big City Rumble, putting $2000 of Romano’s money up for any wrestler who could eliminate Dunn from the Rumble. – Steve “The Turtle” Weiner eliminated “Simply the Best” GA West to win the NCW 2012 Big City Rumble after hitting West with his ‘kingdom hearts’ to the outside. Following the match Weiner celebrated with Doug Summers and asked Commissioner Dean “The Beast” Livsley into the ring, asking Dean to utilize his Heavyweight Title Match not at WrestleFest VIII, but rather on September 21st in Riverside where he would be celebrating his birthday. Livsley agreed to the title match as the champion Buddy Romano and JC Marxxx watched from outside, and with his back turned JT Dunn returned to the ring to toss Romano in allowing Weiner to hit ‘kingdom hearts’ on the NCW Champion! – The Lumberjake d. Pacifico w/ Big Bully Rezner with the ‘log ride’ in the opening contest. – “The Greatest Mind in Professional Wrestling” Matthew Theall from California’s APW entered the ring next, announcing his very own ‘The All-stars Challenge’ wrestling exhibition. “The Unorthodox” Levi Shapiro and Perry Von Vicious make their way out to the ring, only to have the retuning PVV announce that he was so happy to be back home in New England that if he won his match against Shapiro he would be donating $5000 to the town of Foxboro, MA much to the delight of the crowd! – Perry Von Vicious d. “The Unorthodox” Levi Shapiro. – In an NCW Tag Team Championship Match “Dynamite” Doug Summers & Steve “The Turtle” Weiner d. the NCW Tag Team Champions the Unequaled Destroyers when “The Granite State Destroyer” Gunar Rowe was caught with a wrench by referee Dan Tanaka, with Tanaka believing Rowe had used the wrench on an “unconscious” Doug Summers. Weiner & Summers then ran out of the Foxboro KOC Hall with the Destroyers Tag Team title belts. – JC Marxxx and Zero Tolerance came out to the ring next, celebrating the three year anniversary of Mike Paiva’s reign as NCW New England Champion. With streamers, blow horns, and grape drink everyone in ZT was having a ball except for David Marxxx-Loomis, still upset with what happened at NCW Payback between him and Buddy Romano. Frustrated, Loomis stated that he didn’t want Zero Tolerance’s help tonight, and walked out on his team. NCW Commissioner Dean “The Beast” Livsley then came out, ready to disrupt the celebration just a little bit more. Dean stated that he had an opponent in mind for Paiva, a former New England Champion in Evan “Hawkeye” Hunter! – In a hard fought contest NCW New England Champion “The Original Showoff” Mike Paiva d. Evan “Hawkeye” Hunter to retain the NCW New England title after stunning Hunter off the top buckle, allowing Paiva to hit his ‘sleazeball special’ for the victory . – “Dynamic” Jon Thornhill d. “The Heater” Kevin Perry in a heated match-up with the frog splash. – “The Juice” JT Dunn d. “The Twisted Hatter” Alex Creed w/ “The Maniacal” Jack Krueger in decisive fashion with a vicious power bomb. Following the match Krueger entered the ring, furious with the officiating of referee Anthony Greene. He went to lay his hands on the ref, only to challenge Greene to a match. Commissioner Livsley then came out, and asked AG if he wanted to fight. The Foxboro fans then called for “The Juice” to be the referee, which Dean thought was a great idea. – Anthony Greene d. “The Maniacal” Jack Krueger in a huge upset after “The Juice” JT Dunn knocked out Krueger after he shoved the special referee. – “Simply the Best” GA West w/ Doc Ozone d. David Marxxx-Loomis after David’s father JC Marxxx inadvertently distracted his son, allowing West to face plant Loomis. After the match West & Ozone brutalized Loomis much to JC’s chagrin. – NCW Heavyweight Champion Buddy Romano d. “The RIOT” Kellan Thomas to retain the NCW Championship after rolling through on Thomas’ cross-body block off the top rope, with Romano grabbing a handful of tights. – Following the match “The Juice” JT Dunn, Anthony Greene, and Dean “The Beast” Livsley came out to the ring with Dunn looking to challenge Buddy Romano at NCW’s Big City Rumble event August 17th. Romano declined the challenge, but Livsley promised that he could still let JT get his hands on Buddy at the Rumble, setting up an 8 Man Tag Team Elimination Match between Zero Tolerance and Team Juicy when NCW returned to West Warwick. NCW SHOWCASE is a unique opportunity for the fans of Northeast Championship Wrestling to get a sneak peak into not only the behind-the-scenes world of NCW, but also an inside look into the colorful personalities beyond the ring. Hosted via Vimeo at http://www.vimeo.com/thencwonline, you can also check out previously aired webisodes of the NCW SHOWCASE! – NCW 2012 Big City Rumble pulp fiction hype featuring “The Juice” JT Dunn, Anthony Greene, Pacifico, the Lumberjake, “The Maniacal” Jack Krueger & Alex Creed, Steve “The Turtle” Weiner & “Dynamite” Doug Summers ! – The entire NCW locker room came out to the ring before the event started, as NCW Commissioner Dean “The Beast” Livsley stormed out demanding law and order be restored within the promotion. After the events of Spring Slam last month he wanted to make it clear to everyone that no one was bigger than NCW, not even him. At the end of the day however he was still the boss and until then he’d be calling the shots, not Zero Tolerance. Livsley then hyped up the Luck of the Draw Match #1 Contenders Match as well the upcoming NCW Title Match between Zero Tolerance’s Buddy Romano and David Marxxx-Loomis. – “The Portuguese Sensation” Ruy Batello d. NCW Tag Team Champion “The Granite State Destroyer” Gunar Rowe in singles action. With “Dynamic” Jon Thornhill injured and “The Unequaled One” Todd Sople out of Dedham, Batello was able to score a measure of revenge against the man who screwed him out of the Tag Titles in West Warwick, pinning him with ‘Ruination’. – Before the next scheduled match, “The Maniacal” Jack Krueger entered the ring along with his disciple Alex Creed. Krueger said that he wasn’t worthy yet, and still had much to prove. Krueger opted out of his match, and instructed Creed to decimate his onetime tag team partner Hunter Ward in Dedham. – “The Twisted Hatter’ Alex Creed w/ Jack Krueger d. Hunter Ward after a distraction from Krueger allowed Creed to hit Ward with a top rope leg line. – In the “Tootsie Time” interview segment, Michael Tootsie Esquire opted to call out someone he wasn’t quite familiar with in the NCW locker room, the young upstart “Too” Shay Silva. MTE began harassing Silva, degrading him and insulting him left and right. After giving Shay a sucker slap, “Too” Shay responded back with a vicious slap while challenging MTE to a fight. – “Too” Shay Silva d. Michael Tootsie Esquire in dominant fashion. – “Dynamite” Doug Summers & Steve “The Turtle” Weiner d. Richard Pacifico & Big Bully Rezner after Summers crushed Big Bully with Steve’s shell. 2. JT Dunn d. “Simply the Best” GA West after Mark Moment accidentally knocked out West, giving Dunn the opportunity to pin West. 7. “The RIOT” Kellan Thomas d. JT Dunn with a rollup. 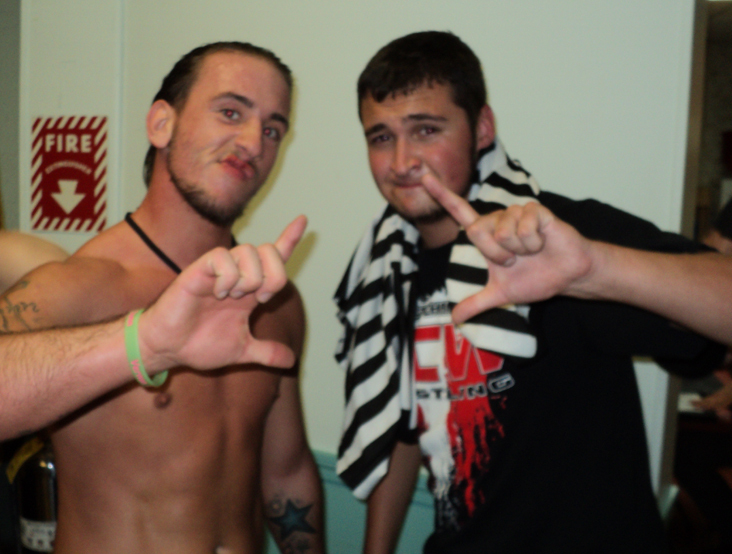 – Before the tag team match, Zero Tolerance came to ringside to brag about their dominance. “Cocky” Kevin Cordeiro took the microphone and stated that he’s gone beyond cockiness since joining Mike Paiva, and has re-christened himself “The Heater” Kevin Perry. Mike Paiva also stated that if he lost their match, he would be the chauffeur for the Lumberjake’s Lumberdate! – The Bash Brothers (Rob the Giant & the Lumberjake) d. Zero Tolerance (“The Original Showoff” Mike Paiva & “The Heater” Kevin Perry) after Perry accidentally distracted Redd Roche, allowing Lumberjake and Robbie to use Gordon (Jake’s 2×4) on Paiva. – NCW Heavyweight Champion Buddy Romano d. David Marxxx-Loomis to retain the NCW Championship after hitting a low blow on Loomis, giving him an opportunity to drive his knee into David’s skull. Loomis was on his way to defeating Romano when manager JC Marxxx audibly called for Buddy to get up, inadvertently distracting JC’s son David. Following the match both men walked out on Marxxx, leaving Zero Tolerance in shambles. For exclusive pictures from NCW Spring Slam check out “Picture” Dave’s photos here. – In the opener Eddie Loomis pinned Scotty Slade with an explosive german suplex. Despite making his NCW debut, Slade dominated the match against the more inexperienced Loomis. After Slade became a bit too overconfident with his dominance, Eddie came out of nowhere with the suplex for the upset victory. – Steve “The Turtle” Weiner d. Richard Pacifico after Weiner rolled through a ‘cobra clutch slam’ for the win. Following the match a volatile Pacifico brutalized Weiner, laying him out in retaliation for the loss. – Michael Tootsie Esquire debuted his “Tootsie Time” interview segment, calling out his cousin JC Marxxx and Zero Tolerance (Buddy Romano, David Marxxx-Loomis, Mike Paiva, & Kevin Cordeiro). MTE questioned the dissension in Zero Tolerance, especially between Loomis and Romano. Marxxx assured everyone that things were fine in ZT, and that Davey would get a Title Match against the winner of Buddy/JT in Dedham. David then got in Buddy’s face, calling him out for stealing his Title Match for the night, leading to Commissioner Dean “The Beast” Livsley coming to the ring to break up the crying fit. Dean then kicked ZT out of ringside, and told Paiva he’d be defending his New England Title right then and there. – Rob the Giant then came out to the ring for his New England Title Match, along with his friend Lumberjake! – NCW New England Champion “The Original Showoff” Mike Paiva w/ Kevin Cordeiro d. Rob the Giant w/ Lumberjake after Cordeiro knocked Giant down with a pair of knucks. Following the match Robbie used those same knucks on Paiva, taking him out of the equation for the next match. – The Lumberjake w/ Rob the Giant d. “Cocky” Kevin Cordeiro w/ an unconscious Mike Paiva with the ‘log ride’ splash. – “The Maniacal” Jack Krueger came out to the ring following intermission, accompanied by the bizarre Alex Creed. Krueger, wearing an “X” on his face as symbolism of the fallen Cenobite, talked about his victory at REUNION changing everything, and people finally believing the reality of fate. He’s changed the life of Creed, who’s begun to follow Krueger following REUNION, and will soon prove to everyone the hands of fate are real. – Triplelicious & “The Barrington Bulldozer” John Munroe d. “The Maniacal” Jack Krueger & Alex Creed when Krueger walked out on his tag team partner, allowing his follower to be sacrificed to Munroe & Trip. Creed was finally finished off with a vicious chokebomb slam. – David Marxxx-Loomis d. “The RIOT” Kellan Thomas in an amazing match of athleticism and finesse, with both wrestlers pulling out all the stops. After a series of near-misses Loomis was finally able to hit his back-driver suplex onto “RIOT” for the win. – NCW Tag Team Champions The Unequaled Destroyers (“The Unequaled One” Todd Sople & “The Granite State Destroyer” Gunar Rowe) d. Ruination SLAM (“Dynamic” Jon Thornhill & “The Portuguese Sensation” Ruy Batello) to retain the Tag Team Championship, though it was revealed afterward Batello’s shoulder was not pinned to the match. – In the West Warwick Street Fight Buddy Romano d. “The Juice” JT Dunn to win the NCW Heavyweight Championship after a low kick to the crotch, after a series of events involving Zero Tolerance & Dean “The Beast” Livsley. While Dean kept near the entrance to ensure no interference from the wild brawl, Cordeiro & Paiva eventually blindsided Livsley, throwing him into the post with JC forcing Davey Loomis to handcuff him. With Dean out of the match ZT took their shots on Dunn until “The Juice” began to fight back. Loomis was instructed to take Dunn out with the steel chair, but he refused leading to Romano taking matters into his own hands. Following the match Dunn took his frustrations out on Mike Paiva, while a remorseful Loomis finally gave the keys to un-cuff Livsley, sending “The Beast” out of the building chasing down the remaining Zero Tolerance members. On April 27th, 2012 at NCW’s 15 year REUNION, JT Dunn pinned Buddy Romano in the finals of the Heavyweight Championship Tournament, cementing himself as a true main event player and becoming the twelfth man to win the NCW Championship since its inception in 1999. Nothing can be taken away from Romano however, a former Tag Team Champion who won the 2011 Big City Rumble last Season to win his first Heavyweight Title, albeit in controversial fashion. The burgeoning rivalry brewing between these two young guns mirror some of NCW’s biggest rivalries of the last 15 years, and recognizing what’s come before may help us look at what’s ahead for these two rising stars. While NCW was founded in 1997, its formative years found the promotion in flux, floating around without direction or purpose. When “Revolution” Chris Venom struck out on his own alongside his main squeeze Gina Marie, “The Revolution” promised to lead Northeast Championship Wrestling into a new era, an era led by him. By that time Venom was already a former NCW Tag Team Champion with his PYCW running mate Dave Champion, but Venom’s sights were set on the Heavyweight Title, held by Big Poppa Drunk Sean O’Callahan. At Silence the Violence II (March 5th, 2000) Venom called out Big Poppa Drunk, and nearly walked out the NCW Heavyweight Champion in his first attempt. Due to interference by the Damned (Mad Dog Matt Storm & Draven), manager Sean Gorman, and Zero Tolerance (JC Marxxx, Ruy Batello, & Triplelicious) the match was thrown out by Commissioner Scotty Angel resulting in a giant locker room melee. During the ruckus Chris and Gina Marie bolted from ringside, stealing the Heavyweight Title belt. Shortly after Silence the Violence O’Callahan decided to walk out of NCW, forfeiting the Championship he no longer possessed. Venom took full credit for the walkout, but Commissioner Angel decided to punish “Revolution” by taking him out of the upcoming Title Scramble at NCW Meltdown (April 7th, 2000) and making him the guest referee instead. It was on this night in Seekonk, MA that the landscape drastically changed for the promotion and would help define the next year for the company when Triplelicious broke away from JC Marxxx and Zero Tolerance, winning his third NCW Title after eliminating his ZT partner Ruy Batello. Following the match Venom presented the NCW Championship right to the skull of Trip, firing the first shot and putting the new Champion on notice. What followed was a yearlong back and forth with these two up and comers, wrestling up and down the east coast with Venom finally defeating Trip for the Heavyweight Championship on November 26th, 2000 in Plainfield, CT thanks to assistance from his newly minted Divine Legacy (“Primetime” Randy J & “The Main Event” Matt Burns). The dysfunctional relationship escalated further, bleeding into other promotions (ICCW, EWA) until their brutal No Disqualifications Match at NCW WrestleFest II (May 27th, 2001) where a battered and bloody Venom went down to a vicious ‘H-Cube’ onto the Heavyweight Championship, giving Triplelicious his fourth title win. While their rivalry eventually led to a partnership between the two, there’s no denying that their feud made both men better wrestlers, and helped define what NCW would become because of it. Another feud that shows similarities for the potential a Buddy Romano/JT Dunn rivalry brings us to 2007 when “Dynamite” Doug Summers defeated three men in one night to win the vacant Heavyweight Championship, after “The Portuguese Sensation” Ruy Batello retired as Champion during the summer of 2006. It was at Silence the Violence VI (January 19th, 2007) where Summers defeated “The Monster” Cenobite and Triplelicious en route to facing his friend Davey Loomis in the finals for the vacated title. Both Loomis and Summers had debuted when NCW returned in 2005, and in the two years since both men had grown to be two of the cornerstones of the ‘new’ NCW, especially in the wake of Batello’s retirement. After a tremendous back and forth match, Doug was able to defeat Davey following a brutal ‘beautiful disaster’ knee crusher to win his first Heavyweight Championship. The two friends embraced following the match, and Davey would continue to watch Doug’s back until Loomis was put on the disabled list by Dean “The Beast” Livsley, keeping him out of action for nearly ten months. When Loomis returned to action at the 2008 Big City Rumble (March 22nd, 2008), he returned to a world he no longer knew. During his time away Dean had made amends for the crimes he had committed and had become one of NCW’s most popular competitors, even teaming with Doug Summers himself. While Loomis tried to put the past behind him, emotions began to flare leading to a heated war between Livsley and himself. This didn’t stop Davey from winning the 2008 Big City Rumble however, earning another title opportunity against Doug at NCW’s 11 year REUNION (April 12th, 2008). Before Loomis would get his title match however, he would have to face “The Beast” one on one while Summers would have to defend his Championship against Tim Kilgore, forcing both challenger and champion to wrestle twice in one night. Summers was able to retain against Kilgore, but Loomis took things too far against Livsley, nearly destroying his knee in the process. Out for blood, a more intense Loomis singled in on an exhausted Summers, dissecting him and brutalizing him like never before. When Dean returned to ringside to distract Davey, Doug took the advantage and got the win in a huge upset. Unlike their first encounter a year earlier, there was no embrace following the match. Loomis assaulted Summers, nearly crippling him with a ‘kryptonite crunch’ and forcing the entire locker room to pour out to break up the brawl. The next month at Silence the Violence VII (May 23rd, 2008) Loomis arrived in Dedham, MA with a new attitude and a new manager, as he aligned himself with JC Marxxx following the events of REUNION. Realizing that his alleged friends turned their backs on him, Loomis decided he would follow a man who never lied to him even when he was trying to end his career. The new attitude for Loomis pushed his persona over the edge, leading to psychological warfare with the NCW Champion. 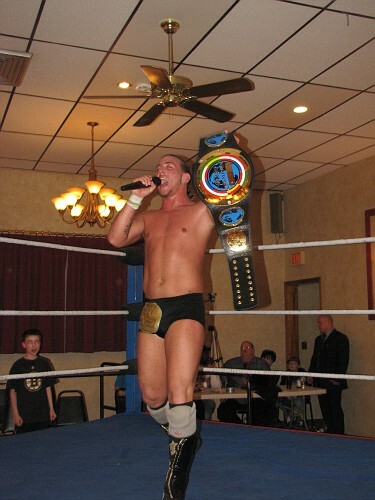 Thanks to JC’s managerial assistance, David was able to utilize his Luck of the Draw title opportunity against Doug the same night he won it (August 22nd, 2008) after Summers had already wrestled his title match against Evan “Hawkeye” Hunter. A tired and weary Summers was barely able to put up a fight, as Loomis dispatched “Dynamite”, ending his record breaking eighteen month title reign. Let’s not mistake the fact that JT Dunn and Buddy Romano are nothing like their counterparts. The Venom/Trip and Loomis/Summers feuds are unique to themselves, and hold no actual bearing on the career paths of the current champion and challenger. There is something to be said for the parallels however, and what may spawn over the next few months with the Heavyweight Title situation. Both men have slowly risen through the ranks since debuting in 2009, and while Buddy’s transformation from happy-go-lucky Slamtech graduate into the sick individual he’s become has been shocking and jarring, no one can deny the talent he possesses especially after his banner year in 2011 thanks to his Best of 7 Series with Doug Summers, his alliance with the reformed Zero Tolerance, and his victory for the NCW Heavyweight Championship. For Dunn it’s always been about proving himself, clawing his way into NCW after first appearing at the 2009 Big City Rumble and eventually earning a contract along with tag team partner Vincenzo Abruzzi after months of battling the veterans of NCW (David Loomis, Chris Venom & William King, etc…) for respect. Respect came at a slow pace, though ultimately he gained high regard from his peers after a brilliant series of matches with “Simply the Best” GA West and David Loomis during the 2011 Season. Dunn’s stock only grew, gaining notoriety in promotions all over New England while making huge waves in PWF-Northeast as their Lightning Cup Champion. This year has been all about proving his critics wrong, and though Romano would never want to admit it he’s always done the same since joining NCW and wrestling in general. At NCW’s 15 year REUNION both men let it all hang out, and had an amazing match in the process. And while Dunn picked up the victory in Dedham, neither man is truly a loser in this first chapter. It’s what happens next that will define the legacy of both men. On Friday night, April 27th Northeast Championship Wrestling celebrated its 15 year REUNION from the Jacob Jones VFW Post in Dedham, MA. It was a historic night in Dedham with two new Champions being crowned, two men wrestling their final matches, and a few surprises and debuts sprinkled in. – Before the action started Shane Daly welcomed back the two time former NCW Champion “Revolution” Chris Venom, who was the special guest ring announcer for the featured bouts at REUNION. – In the night’s opener, Triplelicious d. “Dynamite” Doug Summers after hitting him with an ‘H-Cube’ out of nowhere. The Dedham crowd was split 50/50 for the two former Heavyweight Champions, which seemed to irritate “Dynamite” Doug. Following the match Summers snatched a ‘Doug Summers’ sign that a fan had made in the crowd, cradling it to the back. – David Marxxx-Loomis came out to the ring, with a confused JC Marxxx following right behind him. Before JC could find out what was going on, Davey called Dean “The Beast” Livsley out to ringside. Hungry for another opportunity, Loomis asked Livsley for a title match against the winner of Buddy Romano vs. JT Dunn. An angry JC interjected however, stating that Davey lost his shot against JT in Foxboro, and this needed to be about Zero Tolerance and Buddy Romano. Davey didn’t care however, prompting JC to walk out on his son, telling him that he needed to go focus on Romano. Davey asked Dean again, and the NCW Commissioner agreed that he deserved another shot at the NCW Championship. Before they could continue however they were interrupted by Doc Ozone, who had his new charge Mark Moment by his side. Ozone was still fuming over Davey’s shenanigans in Foxboro, and challenged Loomis to a match with Moment. Davey agreed, with Dean calling out referee Dan Tanaka. – David Marxxx-Loomis d. Mark Moment w/ Doc Ozone. – In tag team action, Infliction (“The Extreme Strongman” Gino Martino & BA Tatum) d. the team of Alex Creed & Hunter Ward. – NCW New England Champion “The Original Showoff” Mike Paiva w/ Kevin Cordeiro d. The Lumberjake to retain the New England Championship, after Lumberjake got caught in a ‘sleazeball special’ onto the New England Title. – Eddie Loomis d. “Simply the Best” GA West w/ Doc Ozone in a great back and forth. – “The Maniacal” Jack Krueger d. “The Monster” Cenobite in a No Holds Barred Match, which also turned out to be a Loser Leaves Town Match after “The Monster” challenged Krueger before the match to the added stipulation. Both men destroyed each other, but in the end “The Maniacal One” picked up the biggest win of his young career. After the match, Cenobite unmasked, said a few words to the Dedham fans and to Krueger, and finally released the demons that had consumed Mike Volpe for the last 7 years. – In the Scotty Vegas Muttonchops Challenge “The Barrington Bulldozer” John Munroe d. Scotty “By GOD” Vegas, seemingly ending the challenge once and for all. Unfortunately Munroe continued the assault following the match, leading to Dan Tanaka reversing the decision and disqualifying Munroe. – The Granite State Wrecking Crew (“The Unequaled One” Todd Sople & Gunar Rowe) d. Destruction Under Impact (“RIOT” Kellan Thomas & “Impact” William Thorne), Ruination SLAM (“Dynamic” Jon Thornhill & “The Portuguese Sensation” Ruy Batello) and Richard Pacifico & Big Bully Rezner in the NCW Tag Team Invitational to win the NCW Tag Team Championship after Gunar Rowe forced William Thorne to tap out. – In the Submissions Match, Rob the Giant d. his former tag team partner “Cocky” Kevin Cordeiro after Mike Paiva inadvertently distracted his protege and allowing Giant to force Cordeiro to tap. – “The Juice” JT Dunn d. Buddy Romano w/ JC Marxxx in the Finals of the NCW Heavyweight Title Tournament, winning the NCW Championship after a vicious bicycle kick to Buddy’s skull. During the match JT Dunn accidentally super-kicked referee Anthony Greene from the ring, forcing Redd Roche to replace him in the closing moments of the match. Commissioner Livsley also interjected himself, removing JC Marxxx from ringside and allowing things to remain one on one. – Following the match Amber showed up to celebrate the win with JT, surprising Dunn before he said a few words to the supportive Dedham fans.